Changing addresses, web address that is. Over the years my portfolio has been organized in a multitude of ways. I've had several hard copies including but not limited to: photographic color slides, 11x14 prints bound in a leather binder, an old fashioned zip drive accompanied by computer print outs and complete with a thumbnail contact sheet and captions and of course a simple folder burned to a CD for ease of use and delivery! 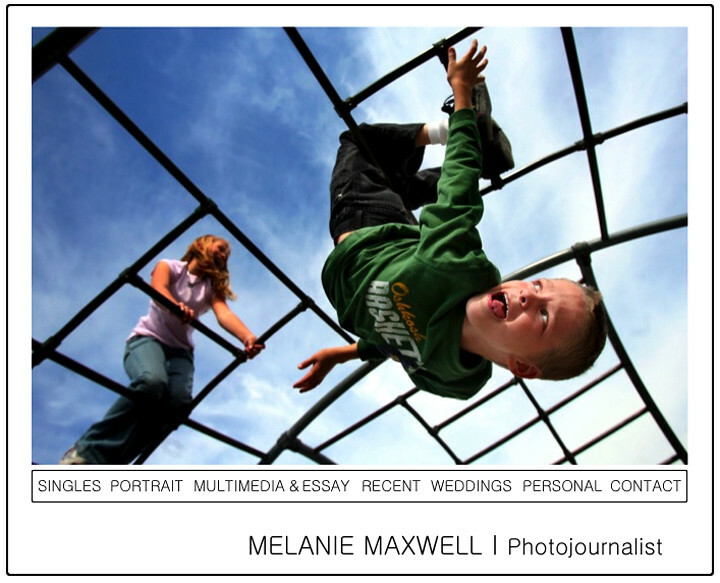 Ever since photography went digital, expectations are that you have a digital portfolio. Makes sense to me, right? While it may not be as easy as burning my files to a disc, building a website to showcase your images has major advantages (i.e. you are looking at my photos right now!) Not to mention that it can be pretty darn easy! What's the point of this entry you ask? Where are the pictures, I came here to look at your pictures! Unless, of course you came here because you are my mom, and that's what mom's do (thanks, Mom!) Anyway, news is, my blog is moving! 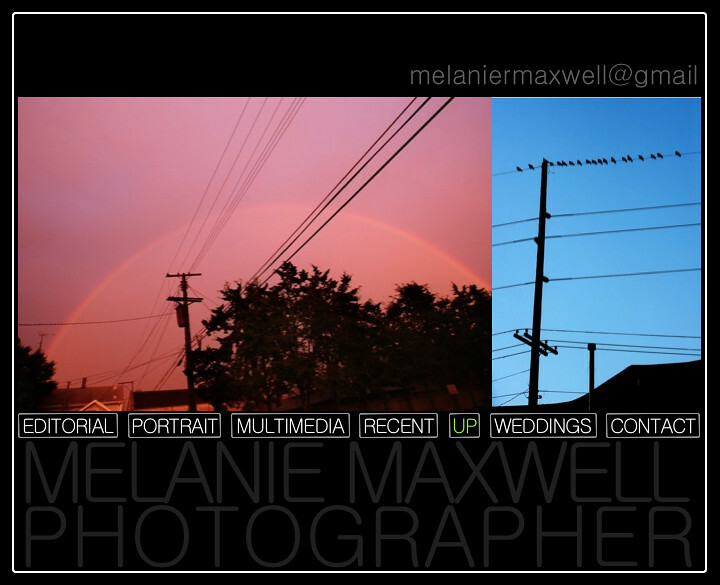 I've created a new, all inclusive, www.MelanieMaxwell.com That's right, portfolios, blog all in one little happy spot! 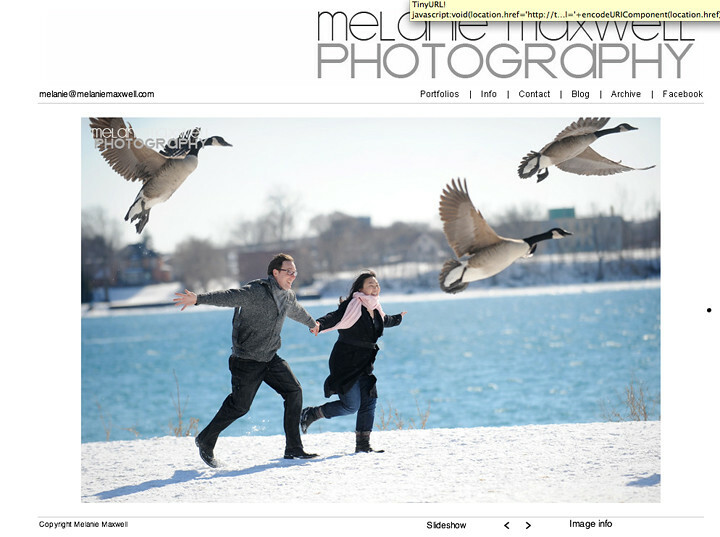 Big shout out to friend, photographer and fellow CMU alum Holly Mahaffey for turning me on to SquareSpace.com, which I used to build my shiny new site! Check out her new site and send her some photo love! So this is it! From now on look for my photo blog updates over -----> here!